This is a fabulous story for the winter holidays. Patricia Polacco has written The Trees of the Dancing Goats about her own experiences growing up on her grandparent’s farm. One winter, while her family is making their preparations for Chanukkah, scarlet fever strikes many families in their area. Worried that their friends and neighbors will have to make do without Christmas, Trisha’s family sets to work to save the day. Great for: This book is great for helping children understand how they can support friends who have different religious beliefs without compromising their own. Death, Violence and Gore – There is a brief reference to the Jewish farmers fighting the Syrian army. Frightening or Intense Things – There is a scarlet fever epidemic in the area where they live. Trisha worries that she will get sick. 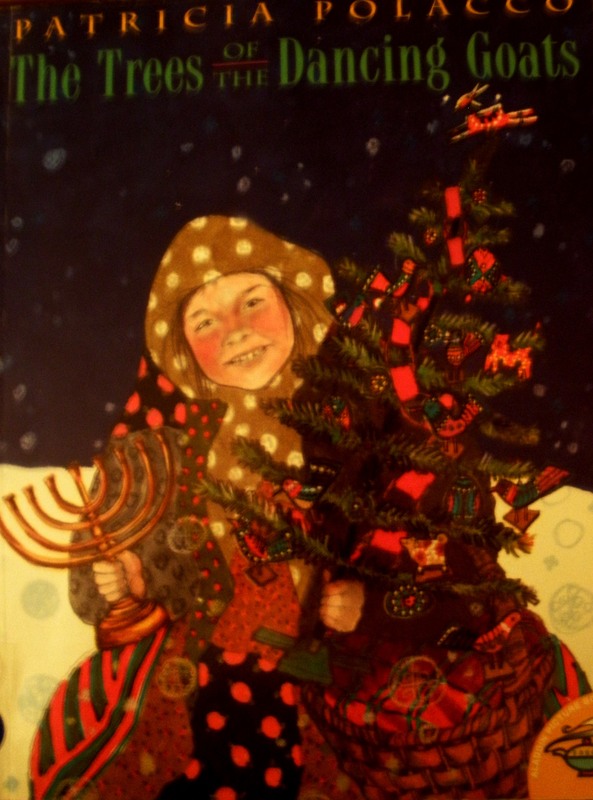 This entry was posted in Middle Grades, Primary Grades and tagged classroom read aloud, jewish, picture book. Bookmark the permalink. This had fallen off my radar screen. Thanks for the reminder of such a great holiday book!